Looking for some Old West Fun in Downtown Denison? Discover Doc Holliday: Saints & Sinners Festival! Find all Event Dates and Times along with Full Information about the Event Schedule here. 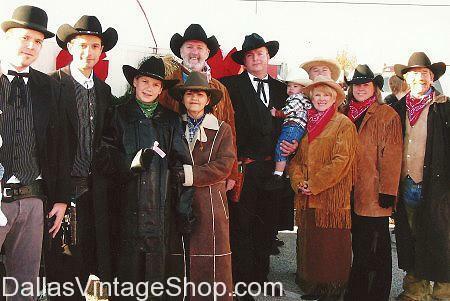 Join in on the West West Fun by Visiting Dallas Vintage Shop and checking out our Men’s High-Quality Historical Old West Tombstone Doc Holliday, Wyatt Earp, Outlaws, Gunslingers, Cowboy and any other Old West Style Costumes, Hats & Accessories! Doc Holliday: Saints & Sinners Festival is FREE!! 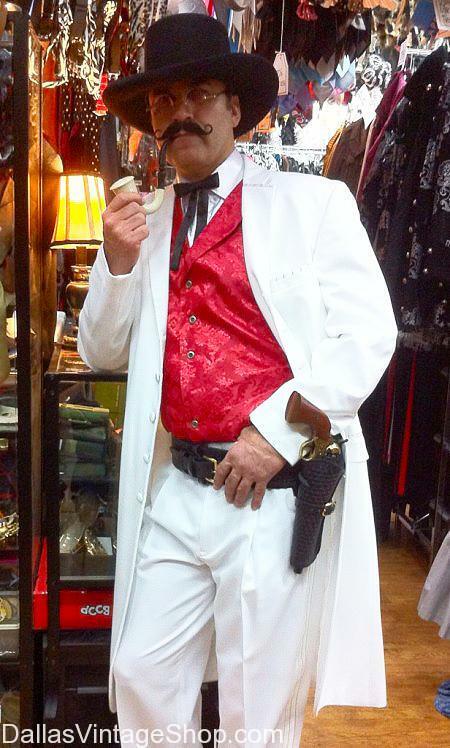 Pictured Doc Holliday Costume provided by Dallas Vintage Shop. 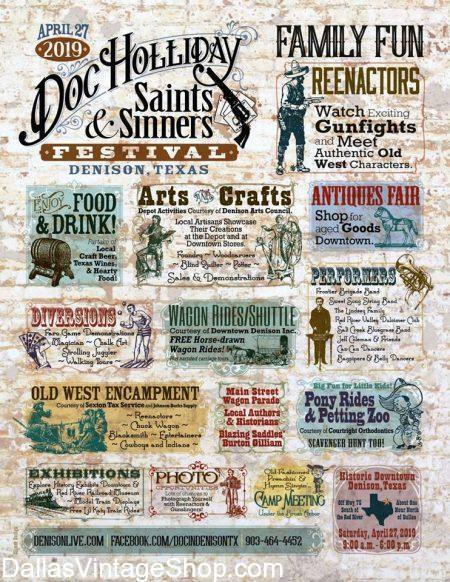 You are officially invited to attend the Doc Holliday Denison Saints & Sinners Festival. This is your chance to be a Dodge City/Dennison Saloon Girl Sinner. We have posted all the 2019 Doc Holliday Saints & Sinners Festival Event on April, 27th. Get the Complete Doc Holliday Event Schedule & Directions and the Official Saints & Sinners Event Website & Ticket Links. We have the largest and most diverse collection of Old West & Victorian Old West Costumes & every imaginable accessory. We have quantity & quality. Find 1800’s Period Attire for Old Denison & Dodge City Socialites, Outlaws, Saloon Girls, Towns People, Saints & Sinners. Get complete outfits or just the accessories you need to complete or upgrade your costume. Doc Holliday Denison Tx Saints & Sinners Festival: is FREE!! Get Ready for Doc Holliday: Saints & Sinners Festival Weekend! Find all the Event Listings and, Also, Event Information for This Denison Event on April 28th, 2018. Before you go, Prepare for the weekend by stopping in at Dallas Vintage Shop. Then, Let our Helpful Staff find the Historical Old West Style Gambler Clothing, Suits, Costumes, Hats & Accessories you need for Every Budget! The Doc Holliday: Saints & Sinners Festival Weekend is FREE!! Pictured Old West Gambler Costume provided by Dallas Vintage Shop. This definitely looks like a sinner to me. Don’t miss the 2019 Doc Holliday Saints & Sinners Festival in Denison on April 27, 2019. This is your chance to relive the Old West in 1800’s Boomtown Dennison. We bring you Doc Holiday Fest Times & Dates, Tickets, Directions, Official Website Links & Suggestions of What to Wear. Our One Stop Shop is packed with Victorian Ladies & Victorian Men’s Clothing and plenty of Old West Attire. Get Period Clothing for Socialite Sinners, Good Guy Lawmen, Sinner Outlaws & Gunslingers, Towns People, Kids Costumes, Ladies & Gentleman’s Fancy Hats & Duds or Simple Cow Pokes Western Attire. Get Complete Outfits or just the Guns, Gun Belts, Victorian Chokers & Jewelry and other accessories you need. Don’t miss the Doc Holliday Saints & Sinners Festival in Downtown Denison on April 27, 2019. We have The Denison Doc Holliday Festival Information you need: Event Tickets Links, Official Doc Holliday Festival Website Links, Map & Directions. Is this visiting Town Sheriff a Saint? …or a corrupt Sheriff trying to blend in at the Denison Doc Holliday Saints & Sinners Festival? 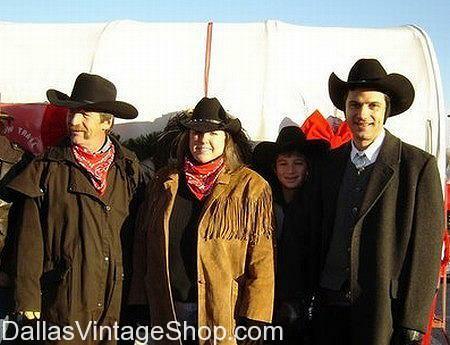 We have all the Old West Men & Ladies Period Attire you need. From Victorian Social Misfits to Good Guy Wyatt Earp & somewhat Good Guy Doc Holliday Complete Outfits. From Proper Victorian Men & Victorian Ladies Attire to Cow Pokes & Ranch Hand Rowdies, we have it all. Find all the Gun Belts, Tin Stars, Pocket Watches, Old West Authentic Creased Cowboy or Western Hats in our expansive Men’s Hats Collection & Fancy Victorian Ladies Fascinators, Riding Hats and Over Done Town Society Ladies Fashions. You will find more Ladies Hats in our Ladies Hat Department than you have ever seen in one place in your life. Whatever you need to fit into Old Denison 1800’s Boomtown, you will find it here. Downtown Denison Doc Holliday Saints & Sinners Festival is FREE!! Get ready for the Dennison Doc Holliday Festival. Stroll the streets of late 1800’s Boomtown Denison in some Fabulous Old West High Society Attire. We list all the 2018 Doc Holliday Saints & Sinners Festival Details on this Site. Get Maps & Directions, Official Doc Holliday Festival Website Links & Costume Ideas here. From Saintly Victorian Ladies Attire & Good Guy’s Victorian Gentleman’s Clothing to Wild West & Old West Outlaws, Gunslingers & Saloon Girl Sinners, we have the Saints & Sinners Costume Ideas and complete outfits or just the accessories you need. Get Fancy Ladies Hats, Authentic Period Western Creased Men’s Hats or Hats for Cowboys, Bankers or Cattle Rustlers. 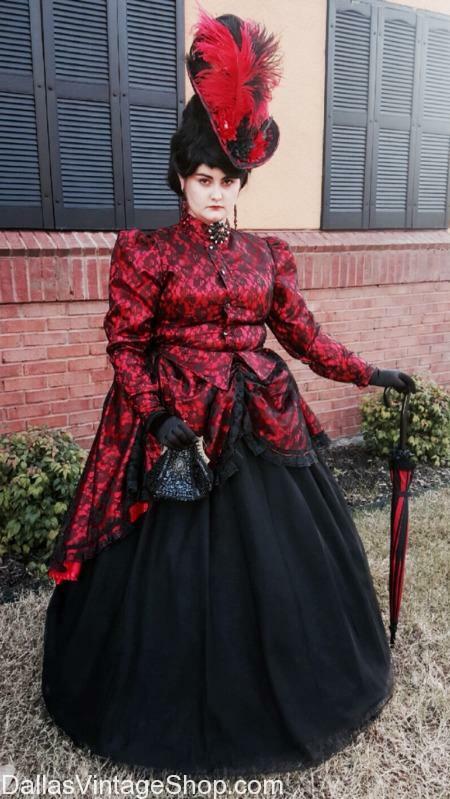 There is Pocket Watches, Parasols, Gloves, Corsets, Shoes, Period Eyeglasses & Jewelry. Find more than you’ll ever need here. Doc Holliday Saints & Sinners Festival in Denison TX is FREE!! Come join the fun at the Doc Holliday: Saints & Sinners Fest in Denison TX, April 28 2018! You’ll find all the Event Map, Event Information, and Schedules for the weekend event here. Be sure to stop by Dallas Vintage Shop to find all the Costumes, Hats, Accessories, Canes, and Shoes to dress up and go to the Weekend Event in Style! Doc Holliday: Saints & Sinners Fest in Denison TX is FREE!! You are Invited to Denison, TX to Immerse yourself in the Fantasy of Doc Holliday: Saints & Sinners Weekend. Get Event Information including Event Times and Event Schedules for this OLD WEST Event on April 28th, 2018. For this 1800’s inspired Event, you can find anything you are looking for at the Dallas Vintage Shop! From Sheriffs to Saloon, to Gamblers, and Outlaws, we have everything you need to make you Day fun and Entertaining! Doc Holliday: Saints & Sinners Weekend is FREE!! Pictured Old West Costumes provided by Dallas Vintage Shop. Need Info about the 2018 Doc Holliday Saints & Sinners Festival in Downtown Denison? Here is your chance to experience the Old West 1870’s & 80’s Boomtown Denison. You might see Doc Holliday, Wyatt Earp or his side kick… Mary Katherine Horony-Cummings (born as Mária Katalin Horony, November 7, 1850 – November 2, 1940), also known as Big Nose Kate, who was a Hungarian-born prostitute and longtime companion and common-law wife of Old West gunfighter Doc Holliday. This Dallas Vintage Shop Website is dedicated to bringing you all the best Costume Events that you are invite to attend in Costume. On this Post you will find all the Doc Holliday Festival Details, Times & Dates, Maps & Directions and even great Costume Suggestions. 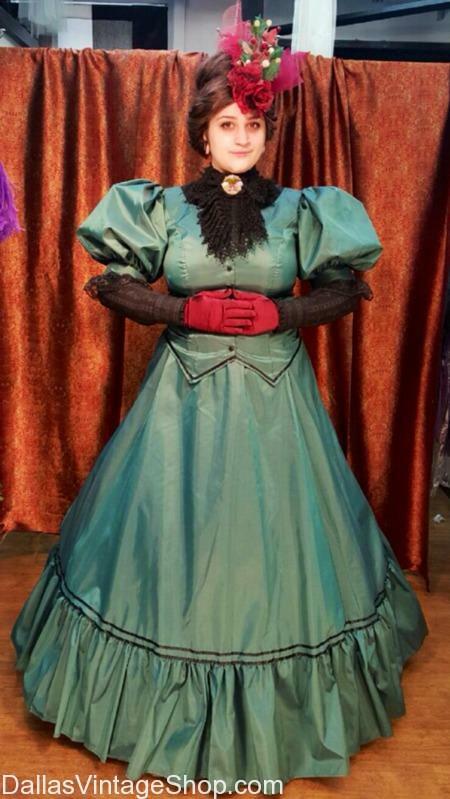 Dress the Period from our enormous selection of Victorian Ladies Attire & Good Guy’s Victorian Gentleman’s Clothing. We have more than enough Wild West & Old West Outlaws, Gunslingers & Saloon Girl Sinners Costumes. Get Saints & Sinners Costume Ideas and complete outfits or just the accessories you need. Get Fancy Ladies Hats, Authentic Period Western Creased Men’s Hats or Hats for Cowboys, Bankers or Cattle Rustlers.There is Pocket Watches, Parasols, Gloves, Corsets, Shoes, Period Eyeglasses & Jewelry. Find more than you’ll ever need at our One Stop Costume Shop. 2019 Doc Holliday Saints & Sinners Festival Downtown Denison is FREE!! Check out Doc Holliday: Saints & Sinners Festival Weekend in Denison, TX on April 28th, 2018! Find Updates on Information Including Event Dates, Event Times, Event Locations, and Proper Attire Suggestions Right Here. 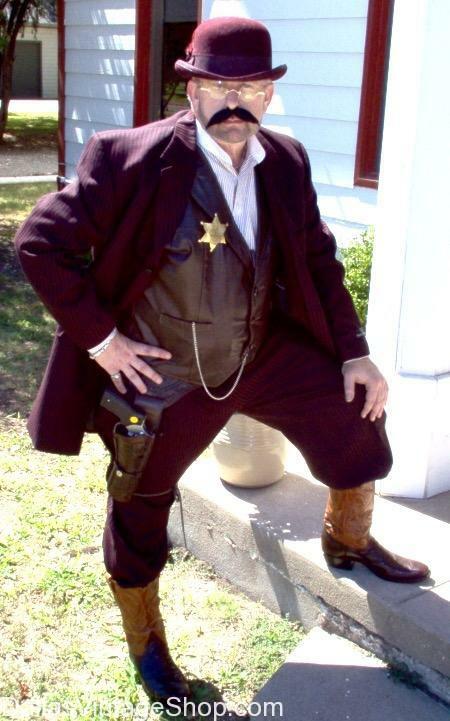 In Addition, We Have Elaborate Sheriffs or Detailed High-Quality Saloon Attire for any Budget. Or, instead, be a little more Relaxed with a more Casual Outfit from the 1800’s. We Also have Hats, Dusters, Ascots, and More to Make any Idea a Reality! You are in 2019 04/27 Doc Holliday Saints & Sinners Festival category.